All items are wrapped with care and sent in a strong shipping envelope or box. We strive to send all custom orders out within 2-3 business days of purchase. If the item is already created, it will be shipped within 24 hours of purchase. 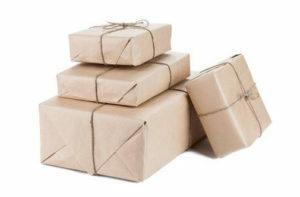 All deliveries are sent by International Uzbekiston Pochtasi Airmail delivery service from Uzbekistan. Estimate Delivery time to USA is 9-18 working days, to EU countries 8-16 working days and rest of the world 10-20 working days. Tracking number and information will be send to your registered email address after order shipped successfully. Please contact us prior to payment, if you wish us to ship at a different rate. We would be happy to gift wrap at no extra charge, please let us know in the message to seller and we will be happy to select tasteful wrapping for the recipient. Unfortunately, we are not responsible for any duties/taxes/customs fees charged by other countries at customs. This tax is the responsibility of the buyer solely.